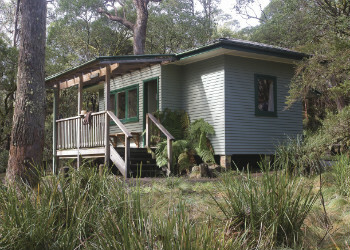 The Eco Fishing Huts program is a unique initiative by the NSW Government to develop wilderness fishing opportunities in national parks and other areas across the State. DPI in partnership with the National Parks and Wildlife Service (NPWS) has developed a network of Eco Fishing Huts at inland and coastal locations to provide affordable access to a range of fresh and saltwater sportfishing opportunities. The NSW Government is committed to providing unique experiences for recreational fishers to enjoy our beautiful and productive fishing locations. Plans are already underway to expand the Eco Fishing Huts program with additional fishing accommodation options. The Eco Fishing Huts initiative is another example of recreational fishing fees being used to enhance opportunities for fishers. Make sure you use the book now button to ensure you have access to hut discounts via the Recreational Fishing Trusts. 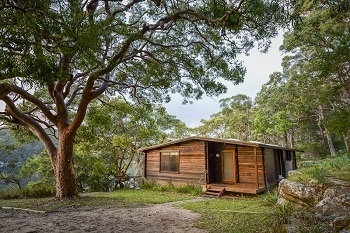 All hut bookings made via the Eco Fishing Huts program as operated by DPI should be completed by the holder of a current NSW recreational fishing licence. Offer is valid for online bookings only. Please visit the NPWS website for full terms and conditions. This well-equipped and affordable accommodation offers a weekend getaway of hiking, swimming and fishing, without sacrificing any of the luxuries like air-con and hot showers. 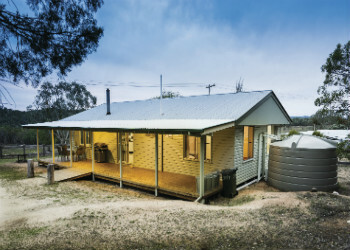 Lavender Vale Cottage offers access to some of the State’s premier wild river Murray cod fishing. Spectacular rocky gorges and deep holes allow keen anglers the opportunity to target our No.1 native sportfish on lures and fly. The rugged landscape and steep, rocky banks make for challenging fishing but the chance of hooking up on a big cod make it all worthwhile! in comments field add your fishing fee receipt number . Offer is valid for stays between 12 March and 27 September 2018, excluding long weekends and NSW school holidays. Accommodation only moments from the beach, Plomer Beach House is perfect for family holidays or remote surf and beach getaways, offering excellent swimming, fishing, and walks. Plomer Beach House is an ideal location for a family fishing holiday as it provides access to miles of open surf beach. Pack your beach fishing gear and target tailor on ganged pilchards or metal slices in the early morning or late afternoon or catch tasty bream and whiting on live beach worms. Find a deep gutter and cast out a slab bait for the chance at a big beach mulloway! 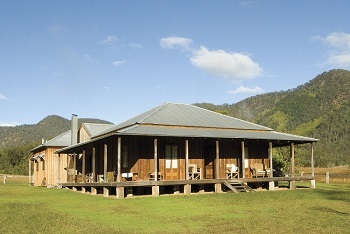 Toms Cabin offers basic accommodation for walkers and nature lovers in the heart of New England National Park. Great for a family holiday, or a weekend with friends. If you love spinning or fly fishing for feisty trout in fast running streams, then a weekend at Toms Cabin is a must-do. Toms Cabin offers access to a variety of waterways and you can also plan a visit to DPI’s Dutton Trout Hatchery, which is located close by. 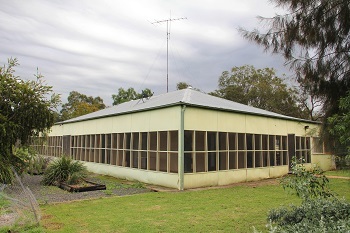 Located close to Tantangara Dam, and surrounded by miles of creeks and rivers, Daffodil Cottage is the idea base from which to explore some of the best trout fishing country NSW has to offer. Fishing options in the dam include bait, lure and fly fishing and there’s always the opportunity to land a trophy brown or rainbow. Keen fly and lure anglers can walk the banks of the many close-by creeks and streams, testing their skills against the wary trout which call these cold, clear waters home. Offer is valid from 12 March - 7 June, excluding the June long weekend and NSW school holidays. (Winter closure: 11 June - 28 Sept). 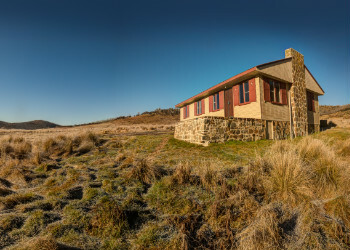 Wolgal Hut in historic Kiandra offers comfy lodge accommodation with great trout fishing nearby in Kosciuszko National Park near Adaminaby. If you love walking along highland rivers and streams in search of brown and rainbow trout, Wolgul Hut is the place for you. Make the trip with a couple of fishing mates or the family and test your fly and lure fishing skills in these challenging yet productive waters. Offer is valid for stays 12 March - 28 June, excluding the June long weekend and NSW school holidays. 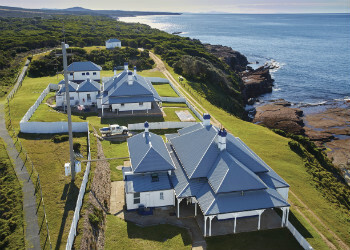 Enjoy a weekend at the heritage Green Cape Lightstation Keeper’s Cottages, in an area that's home to countless shipwrecks. Enjoy whale watching, walks and amazing views. You can take a virtual tour of the Cottages, captured with a Google Street View Trekker. The Far South Coast is a wild and spectacular place but these upmarket cottages provide a comfortable base from which you can explore a variety of fishing options. Available species include snapper, kingfish and Australian salmon. 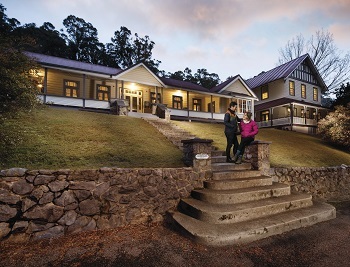 Providing self-catering accommodation in Warrabah National Park, near Tamworth, Uralla and Armidale, Muluerindie offers a self-contained weekend escape right on the Namoi River. This remote location offers keen anglers at quality Murray cod fishing, with holes and rocky pools in the Namoi harbouring these iconic native sportfish. Casting lures are snags and granite boulders, especially at key low light periods of dawn and dusk, is a great way to experience the powerful strike of a wild Murray cod! 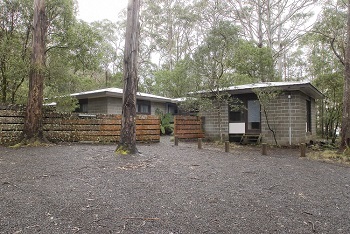 The Pines Cottage is located in the remote northern Kosciuszko National Park, near Adaminaby. 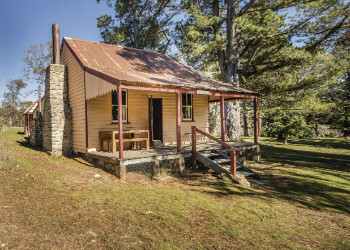 Located close to Tantangara Dam, and surrounded by miles of creeks and rivers, the Pines Cottage is the idea base from which to explore some of the best trout fishing country NSW has to offer. Fishing options in the dam include bait, lure and fly fishing and there’s always the opportunity to land a trophy brown or rainbow. Keen fly and lure anglers can walk the banks of the many close-by creeks and streams, testing their skills against the wary trout which call these cold, clear waters home. Offer is valid for stays between 12 March - 7 June, excludes the June long weekend and NSW school holidays. (Winter closure: 11 June - 28 Sept). One of the more “up market” Eco Fishing Hut options, East Kunderang Homestead offers beautifully restored heritage accommodation for up to 14 people. Located close to the Macleay River, East Kunderang Homestead is the place to go if you like targeting trophy-sized Australian bass. Bring a kayak or canoe along to enjoy one of NSW’s most spectacular wild rivers. For fishing holiday with a real difference, book a stay at historic Redbank Homestead, in Gundabooka National Park, near Bourke, and enjoy a true blue outback experience! Although the outback isn’t known as a fishing hotspot, this location offers the opportunity to experience great fishing for native species including golden perch, aka yellowbelly, and Murray cod in the Darling River. 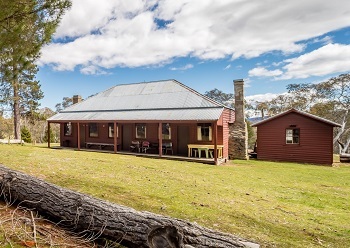 Stay in the cosy Yarrangobilly Caves House 1901 East and West wings, self-contained heritage accommodation set in a secluded section of Kosciuszko National Park. Enjoy fantastic lure and fly fishing for brown and rainbow trout in the Yarrangobilly River, as well as a number of other rivers, creeks and dams. Offer is valid for stays 6 May - 28 June, excluding the June long weekend and NSW school holidays. For a perfect weekend getaway, Weemalah Cottage is located in a secluded riverside setting in Royal National Park, near Sydney. Strap a canoe or kayak on your roof racks and explore pristine Port Hacking, in Sydney’s south, for a variety of estuary species including bream, flathead, whiting and luderick. There’s even a chance at a marauding kingfish in these clear oceanic waters! in comments field add your fishing fee receipt number. Offer is valid for stays Sun-Thurs only during 12 March - 27 Sep, excluding the June long weekend and NSW school holidays. 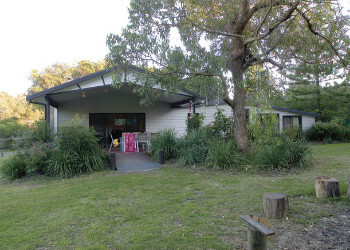 Located at Banksia Point, just near the striking views at Point Lookout, The Residence is ideal cottage accommodation for families and friends wanting to explore the great Aussie bush. Enjoy wilderness style lure and fly fishing for feisty trout in the nearby Styx River and associated waterways. 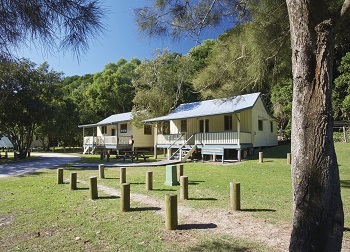 Woody Head cottages and cabins are retro beach shacks between the rainforest and beach in Bundjalung National Park on the North Coast, close to the mouth of the mighty Clarence River at Iluka and Yamba. These cottages and cabins offer great access to estuary, beach and offshore fishing in some of the State’s most productive waters. Depending on the season and the type of fishing you prefer, you can target mulloway, tailor, snapper, marlin, bass, mangrove jack, bream, luderick Spanish mackerel plus plenty of other great sport and table species. Offer is valid for stays 2 June - 20 Sept excluding the June long weekend and NSW school holidays.